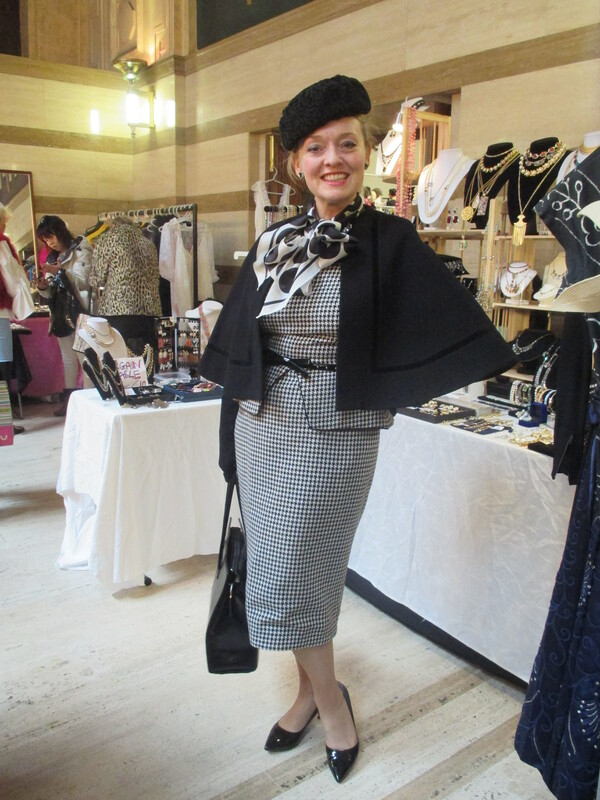 Singing at The Waterside Theater, Vera Lynn & Vintage Fashion at Hammersmith! Kim and I at The Waterside Theater! Ready to Sing for Armed Forces Day! Judging the Children’s Painting Competition! This last week has been a real assortment of all sorts. 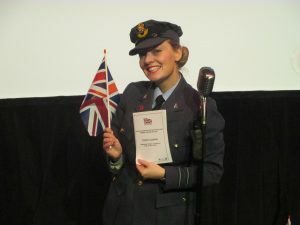 If you caught my last blog you will know I was filming on Monday at the Limelight theater and then on Friday I was at The Waterside theater in Aylesbury singing for the Buckinghamshire and Milton Keynes Armed Forces Day Ticket Launch. 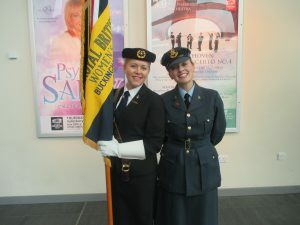 My friend Kim was also there as she is a standard bearer for the Royal British Legion and very smart she looked too along with the rest of the RBL team! 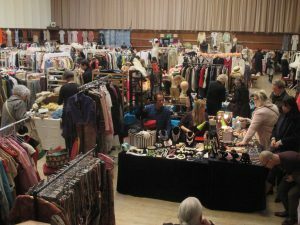 These are always great events to do as there are plenty of interesting people to meet and while I was walking through with my equipment to 2nd Space I bumped into Brandon Cole from “Strictly Come Dancing” who was performing in the main theater. His producer helped me in with my rig which was very kind. I only wished I could have stayed afterwards to see Brandon’s show although I did get a quick peek at some of the costumes as they were being unpacked and hung ready for performance. Maybe next time! I was engaged to perform 30 minutes of patriotic songs by the organizers and afterwards they announced the winner of the children’s painting competition of which it was very hard to choose, especially as we were all asked to vote for the painting we thought best on our arrival. This year the Jive Aces will be headlining the Armed Forces day event on the 17th June which they have brought forward a week which I guess makes it easier for service personal and their families to attend. I shall be performing in various locations over the course of the day songs from WW1 -WW2 although change is in the air and I feel people are craving for more 1950s & 60s music. It’s important to engage with audiences and I’ve been rehearsing at home some new songs which I’m looking forward to putting into my shows later this season. 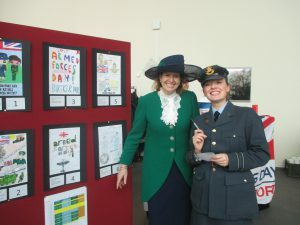 Today I had two shows back to back as for those of you in the know will know it was Vera Lynn’s 100th birthday today. It wont come as any surprise to learn I will be busy for the rest of this week performing “We’ll Meet Again” shows with one 50s and 60s show squeezed in on Thursday just to be different. As for last week I was able to make a start with David on editing Monday’s filming of the Flower Duet from Lakme’. 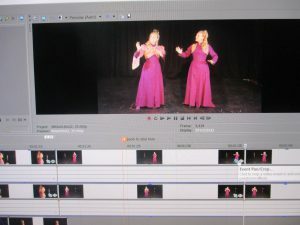 When filming me as a three girl harmony group it’s easy to have me standing next to myself in a line but for this David came up with the brilliant idea of filming over my shoulder and playing with focus between Lakme’ and Mallika which I think will look fantastic. It’s a completely different approach and very exiting so I can’t wait to see his first edit of the aria. Shopping for Vintage in Hammersmith! my wardrobes are bursting as it is but it’s always lovely to look and to be around like minded and creative people. While I was there I was able to pick up some flowers from “ISOBEL” which I intend to make into a corsage. I’m also looking for a pair of purple 3/4 length gloves but as yet I haven’t been able to find what I’m looking for. I did see a long pair on Sunday but they weren’t quite right so I will continue with the hunt. Next week I shall be down on the South coast as I have a run of shows in the Porstmouth area so I shall leave my blog here tonight.